Previously we reported in NEWS the award of The Campion Medal by the British Jesuits to Colette Scully and Martina Maher. For twenty two and a half years Colette and Martina cooked Sunday lunch for the Jesuit community and novitiate in Birmingham. The recipes have all been tried and tested (on the Jesuits). They are a unique collection of delicious dishes, each paired with a saint! Traditional cooking at its very best for friends and family (and any visiting saints!). Father Dries van den Akker SJ carried out all the research on the saints and symbols associated with each recipe. The eleven members of our Museum Visits group were delighted to visit the convent and to be given such a warm welcome. 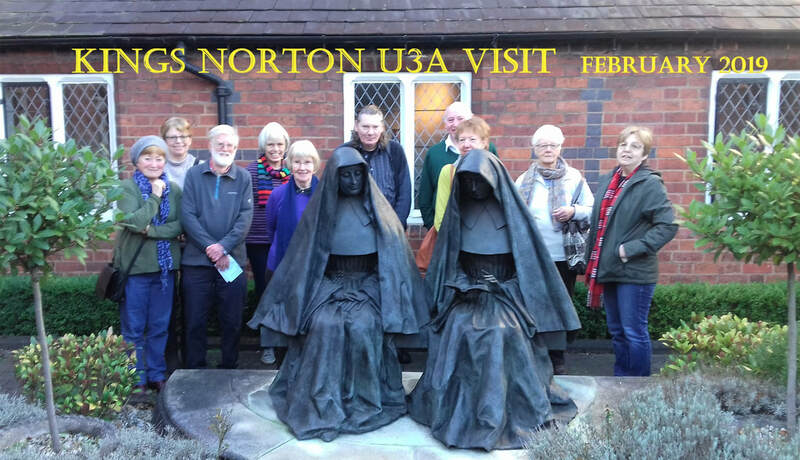 Jenny (the archivist) was so knowledgeable and combined local history with architecture and the timeline of the story of The Sisters of Mercy with their changing role in the modern world. It was a peaceful and calming experience, I know that group members have been talking about our visit with friends and family in a most positive way.